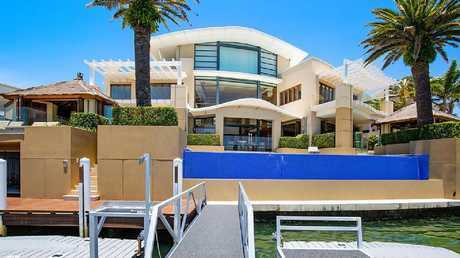 THE riverfront Cronin Island mansion that was built for the jailed former CEO of surfwear group Billabong, Matthew Perrin, is under contract for more than $12 million. The price is the highest achieved for a Gold Coast house since 2017 and comes seven months after billionaire Clive Palmer spent $12 million on a beachfront house at Mermaid Beach. 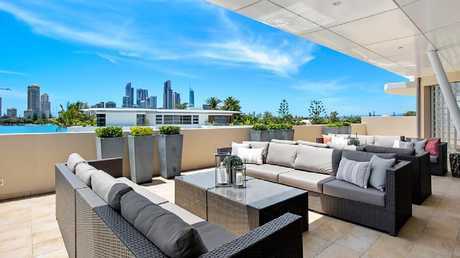 The buyer is believed to be from offshore and to be a newcomer to the Gold Coast property market. The house, at 15 Southern Cross Dve, has been home to EMACS Electrical principal Chris Gavan and wife Terry since 2012. The Gavans have more than doubled their money, having paid $6.1 million for it. The biggest home sale on the Gold Coast in the past 18 months is a $16.5 million deal on the beachfront Mermaid Beach home of former real estate agent David Henderson. The record for a house on the elite Cronin Island is $11 million, paid by a Chinese buyer in 2016 for Gavan neighbour 18 Southern Cross Drive, a giant house built for the then head of Japan's Daikyo group, Shuji Yokoyama in the late 80s. 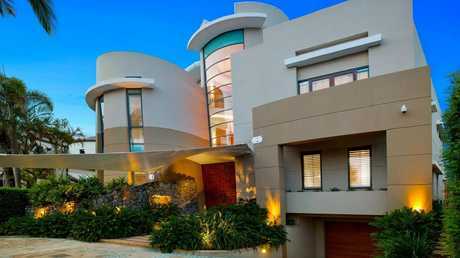 The three-level Gavan house is on a 1239 sqm block and has seven bedrooms, eight bathrooms and a 10-car garage. It has a panic room and comes with a pool, a rooftop bar, a 12-metre pontoon and two jet ski pontoons. The Gavans first tried to sell the property in 2016, chasing more than $15 million, but later sought offers above $12.95 million.